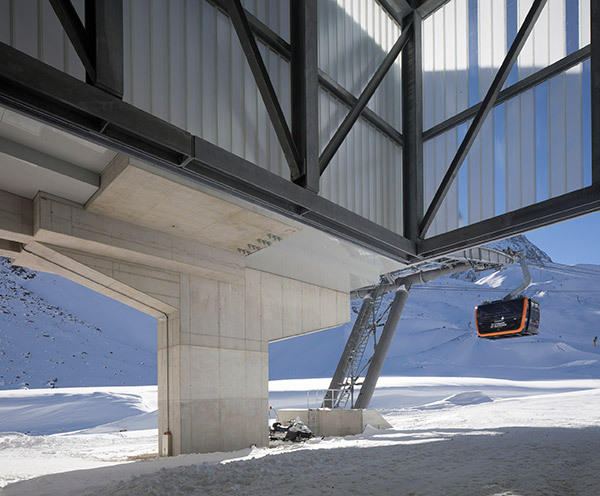 Three station buildings for one ropeway means three different topographies at a great vertical and horizontal physical. 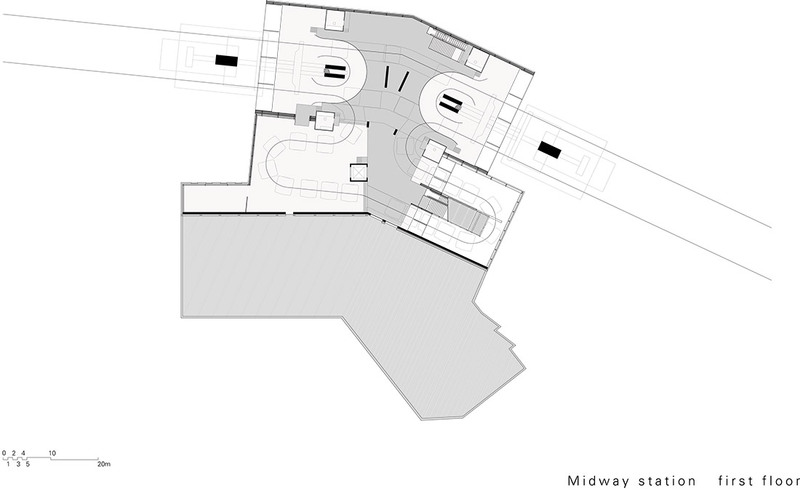 Accordingly, three different typologies are being developed from the respective location and corresponding function. 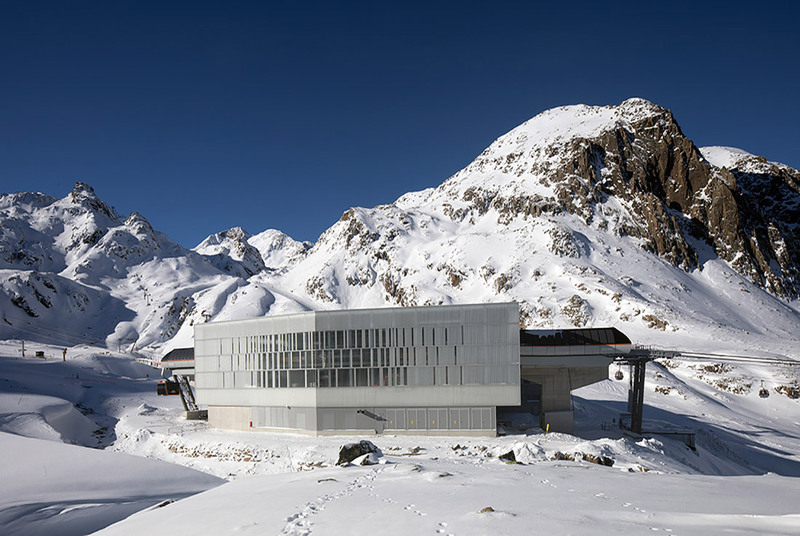 This station reflects high-alpine influences most strongly: On the stream side, there is a solid, black-colored concrete wall as protection against the wild stream which flows by, and in particular as protection for the valley station located behind it against the threat of avalanches from the opposite slope. 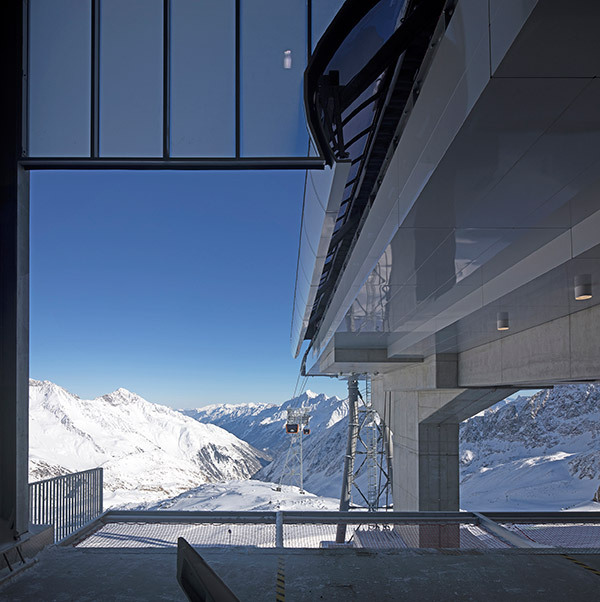 The station’s rounded form is derived from ropeway technology and is crystallized by its materialization with vertical, low-iron profiled glass windows, some matt, some clear. Adjoining at the side of another existing ropeway, it is largely characterized by the incline of the ropeway line. The ground floor zone is a solid construction due to the wild stream and avalanche situation. The upper story area is a steel structure with profiled glass facades like the valley station. The inner connection of the ropeway entrances and exits was rearranged with a shared access to both ropeways. 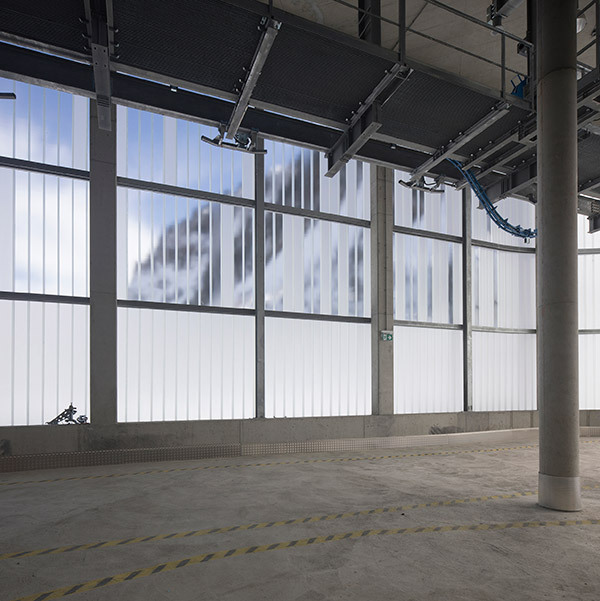 The solidity of the ground floor zone is broken by the covered pass-through alpine ski trail. 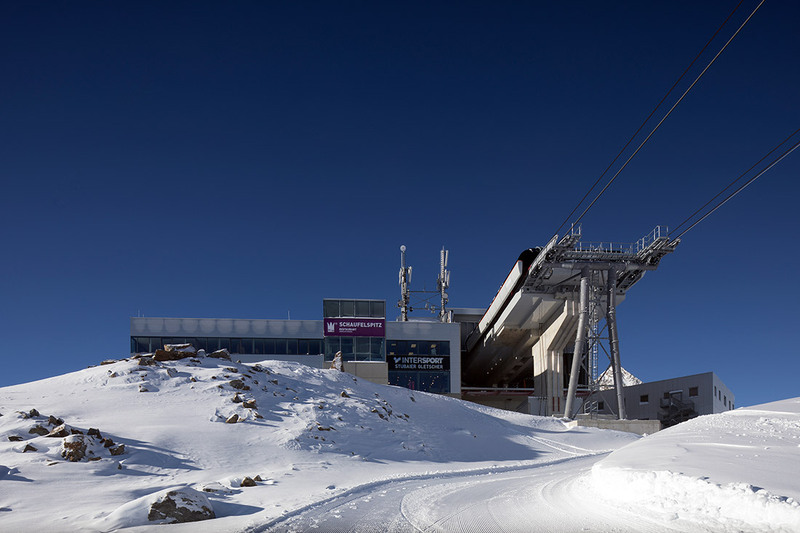 The ropeway is integrated into the existing building with the extant visitor zones for food service and the sporting goods store, and the connection to another distributing gondola lift. Its facades with the aluminium panels invoke the surfaces of the existing buildings. 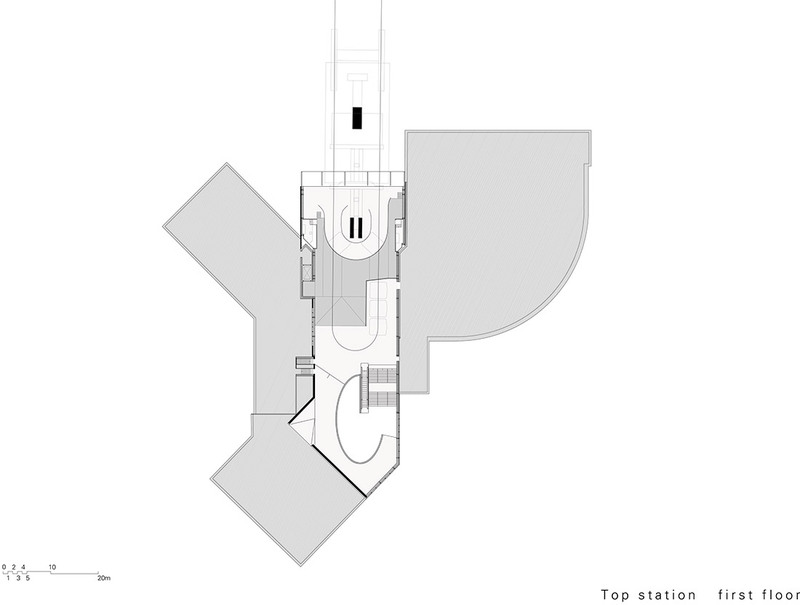 Meticulously located, generous glazed surfaces illuminate the station level, guide customers to a large distributing ramp and provide orientation. What makes this project one-of-a-kind? 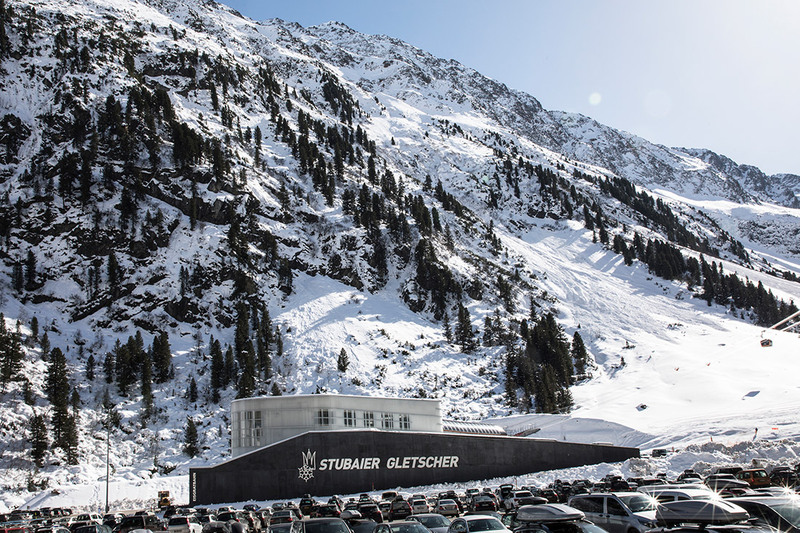 The overall project, consisting of the three ropeway station buildings, meets many technical and user-specific requirements while also coping with the external environmental influences that prevail so high up in the mountains. Text provided by the architects.